Hero bikes price starts at Rs. 38,900 for the cheapest bike HF Deluxe and goes up to Rs. 1.11 lakh for the top model Hero Karizma ZMR. Hero offers 21 new bike models in India. Splendor Plus (Rs. 50,210), Super Splendor (Rs. 59,100) and HF Deluxe (Rs. 38,900) are among the popular bikes from Hero. In	the year 2019/2020, Hero is going to launch 6 new models in India. Select a Hero bike to know the latest offers in your city, prices, variants, specifications, pictures, mileage and reviews. Q. Which one is better in terms of performance and mileage between Unicorn 160 and Glamour FI? Q. Which bike is best Passion Pro or Splendor Plus? Q. I am 5.7 tall and skinny girl, will Hero Pleasure suits me? Q. Is this true when we are travelling on this bike the back portion near back light gives noise? Q. Is this bike suitable/comfortable for travelling long distances? Q. 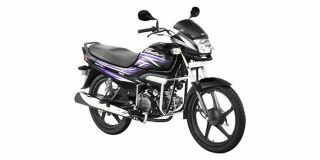 Which is better Splendor Plus, Shine Sp or Pulsar 150? 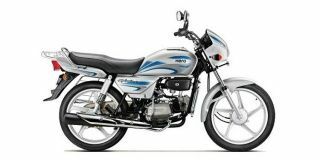 Can Hero’s new 125cc entrant ease the suffering of my daily safar? Can Hero's 125cc family scooter be as good as the Suzuki Access 125? Does the new Hero Destini 125 do enough to differentiate itself in the 125cc family scooter space?